In episode 152 of the AMPM Podcast, host Manny Coats interviews Sergio Vargas from Gen Video, a video content studio that can connect Amazon sellers with YouTube influencers to create video branding content. 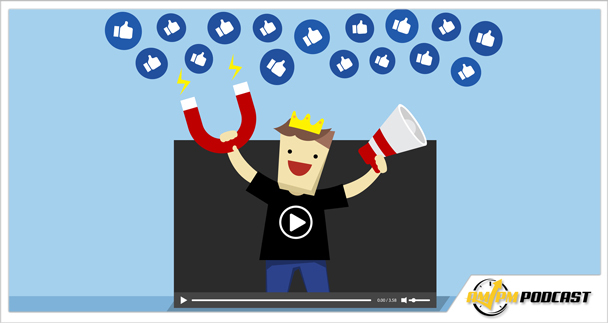 This video content is then linked to the seller’s product page and provides customers with a trustworthy review to encourage sales. Sergio explains the benefits of enlisting prominent YouTube influencers to review and talk about Amazon products, and how Gen Video helps sellers to find the right influencer for their businesses. 01:01 What is Gen Video? 05:18 What Does Amazon Not Allow in Related Videos? 06:09 How Does Gen Video Work for An Amazon Seller? 08:31 What Kind of Seller Account is Needed to Upload Influencer Videos to YouTube? 09:21 What Is the Cost of Using Gen Video to Hire a YouTube Influencer? 10:37 What Is the Difference Between a High-Price VS Low-Price Influencer? 13:19 How Do Sellers Get Their Products to Influencers Once Hired? 14:14 What Is the Best Social Media Platform for Sellers to Use For Influencer Videos? 14:54 What Is the Best Strategy For Sellers to Find the Right Influencer for Their Brand? 16:00 Is It Better to Have Your Influencer Video on YouTube or Amazon? 16:53 How Many Amazon Sellers Have Use Gen Video Services? 17:22 What Strategies Do You Think Work Best For Amazon Sellers Who Utilize YouTube Influencers? 18:45 What Search Criteria Do You Suggest When Searching Gen Video For the Right Influencer? 19:33 What Is One of the Best Results You’ve Seen From An Influencer So Far? 21:16 How Much Control Does a Seller Have Over the Influencer’s Content? 22:10 How Important Is It to Optimize Influencer Videos with Keywords? 23:30 How Do You Get Videos to Show Up Above Amazon Product Descriptions? 25:16 How Do You Prevent Product Video Hijacking? 25:46 Will the Influencer Video Always Show Up in the Product Description? 26:25 Can Sellers Upload Their Own Videos As Well? 27:57 Is There a Magic Number of Videos That a Seller Should Have on a Product Listing? 29:39 What is the Cost of Uploading a Seller-Made Video Through Gen Video? 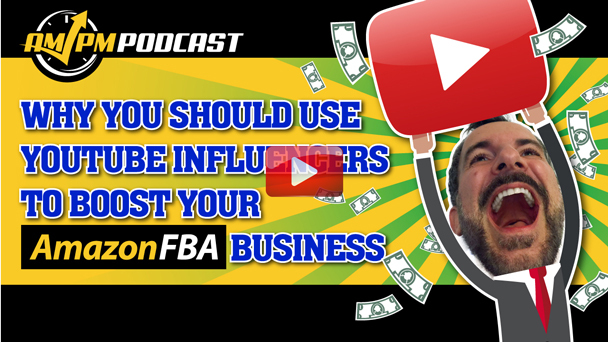 31:24 What Can a Seller Expect to Get From an Influencer for $500? 31:57 What Is Coming Up For Gen Video In the Future? 34:46 What Is the Most Valuable Thing You’ve Learned Working with Amazon Sellers? 36:11 What Other Resources Can Sellers Use When Looking For Influencers to Review Products? 37:19 Can I Get An Influencer to Review Multiple Products All At Once? 38:36 How Many Influencers Are Currently on Your Network?